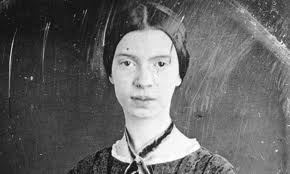 Ever since I heard about Emily Dickinson, I became fascinated by her work. The few poems that I had to the chance to read had to do with religion and or death. I feel that she was ready for the after life, whatever that may have been to her. She was born in 1830 and is the author of such books as Wild Nights: Selected Poetry and Final Harvest. The reason why I like her work is because she seemed to be spiritually aware and ahead of her time . If you have never heard of her work check her out. She is one of my favorites. Do you have any favorite poets? What are thoughts about their work? Previous Previous post: Few Games I Never finished.